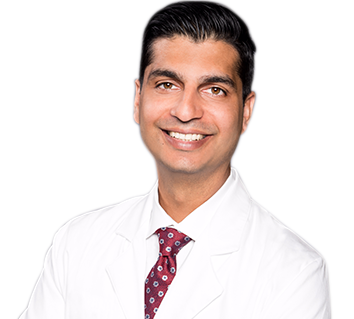 Dr. Nitin Malhotra is Double Board Certified in Pain Medicine & Anesthesiology by the American Board of Anesthesiology. Originally from the Western Suburbs of Chicago, he went on to receive his Bachelor of Arts & Medical Doctorate Degrees at Saint Louis University. He followed this by completing his residency in Anesthesiology at University of Louisville & a Fellowship in Pain Medicine at the University of Chicago. I was nervous because I wasn’t sure what was wrong with my back. I was able to get in the office right away. Dr. Malhatra was very professional and kind. the other staff was very nice. Dr. Malhotra listens to my concerns and helps me understand my conditions. He has helped me through 2 surgeries and I will give his name to anyone looking for pain management. He does injections better than my prior doctor! Dr. Malhotra was very professional, informative and compassionate. He was very knowledgeable & through. Explained what he could do for me & how he would do it. We liked him a lot. Dr. Malhotra has been my pain physician for the last few months. Prior to that I had seen other pain guys but it wasn’t until I found Dr. Malhotra that my life changed. Our Goal is to restore Function & quality of life using various Non-Surgical treatment options that include Minimally Invasive Interventional Procedures, conservative Medical Management, Physical & Psychological Therapies & Alternative remedies. &COPY; Nitin Malhotra, MD, Interventional Pain Medicine &dash; Anesthesiologist, Chicago, IL.